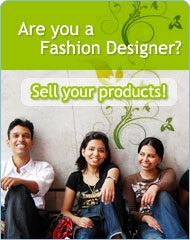 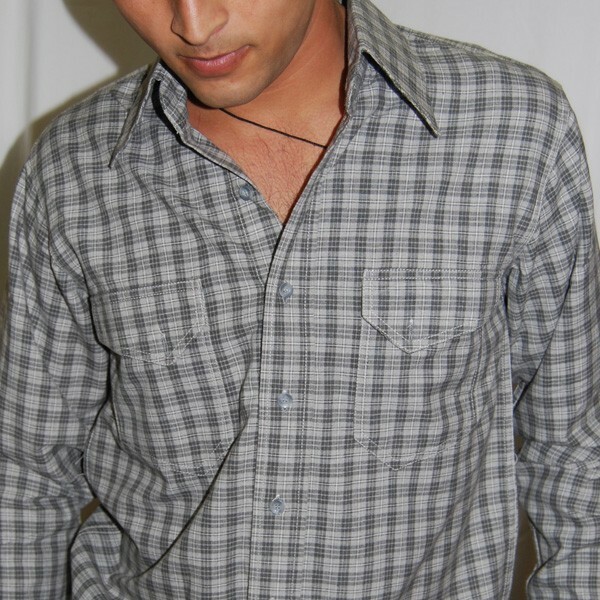 This classic gray colored wear reminds of those straight-fit shirts hanging on funky ragged jeans. 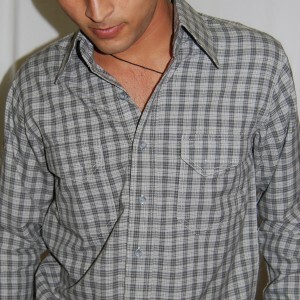 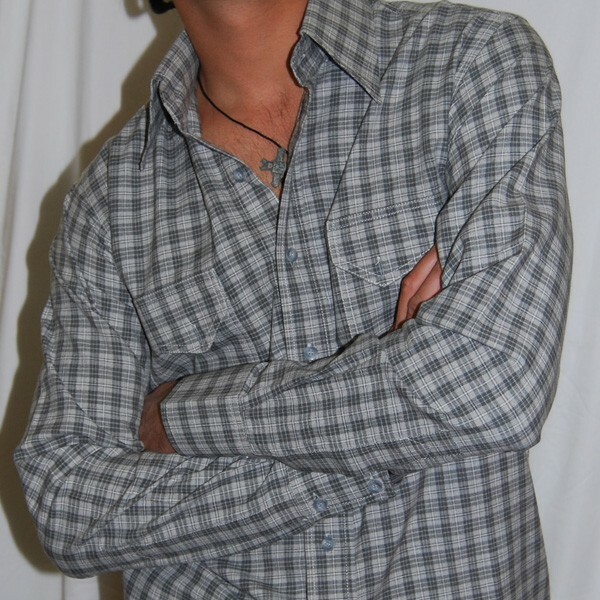 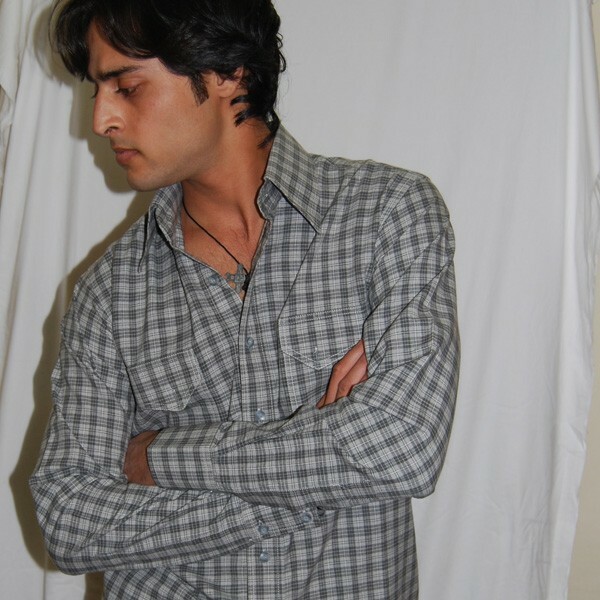 The horizontal based checkered grayscaled shirt is 100% pure cotton. 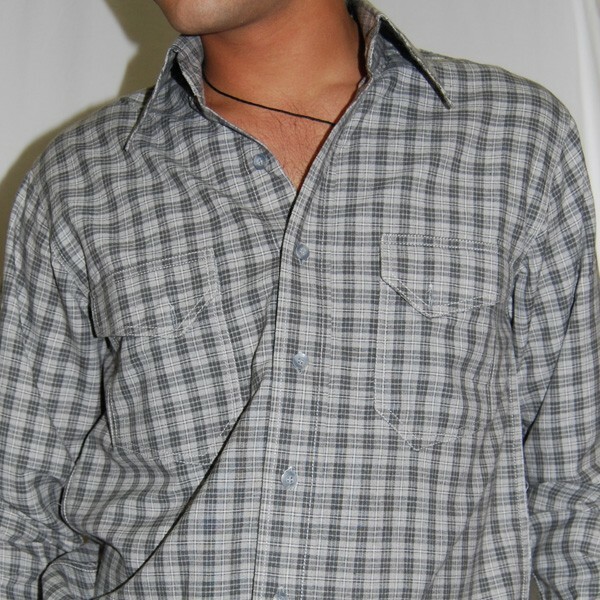 The shirt has two designer flap chest pockets.